Although Pat Nixon would earn a reputation as generally conservative in her clothing choices, there are several contradictory factors that seem to belie this presumption. 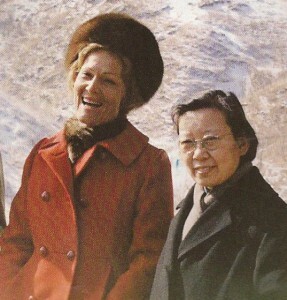 At her husband’s 1969 Inaugural, for example, Mrs. Nixon wore a fur hat, rather than a cloth one, and a red coat trimmed in fur. 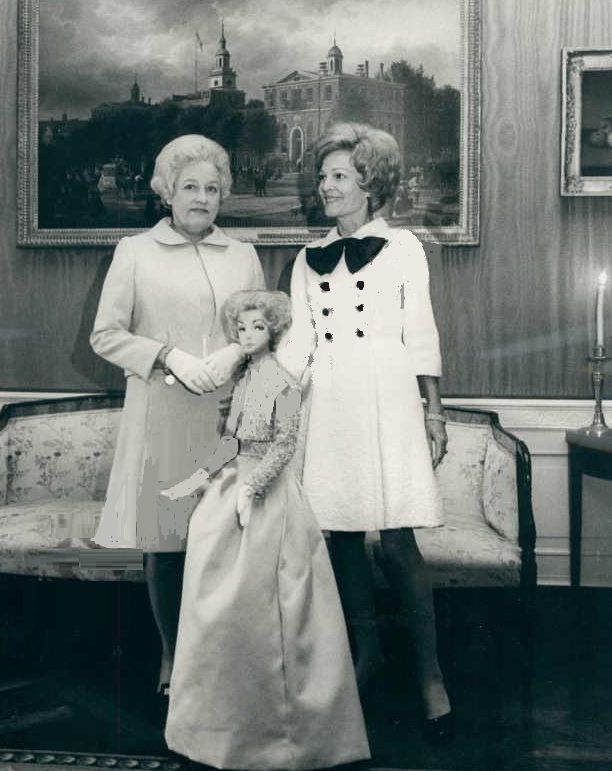 Pat Nixon in her first two years as First Lady wore extremely short dresses, some almost qualifying as the rage of the era, the “mini-skirt.” She received no criticism for doing so, likely because it mirrored the once-radical style that had become mainstream by the early 1970s. She was also the first First Lady to publicly pose wearing pants suits, considered a symbolic mark of the women’s movement for equality. 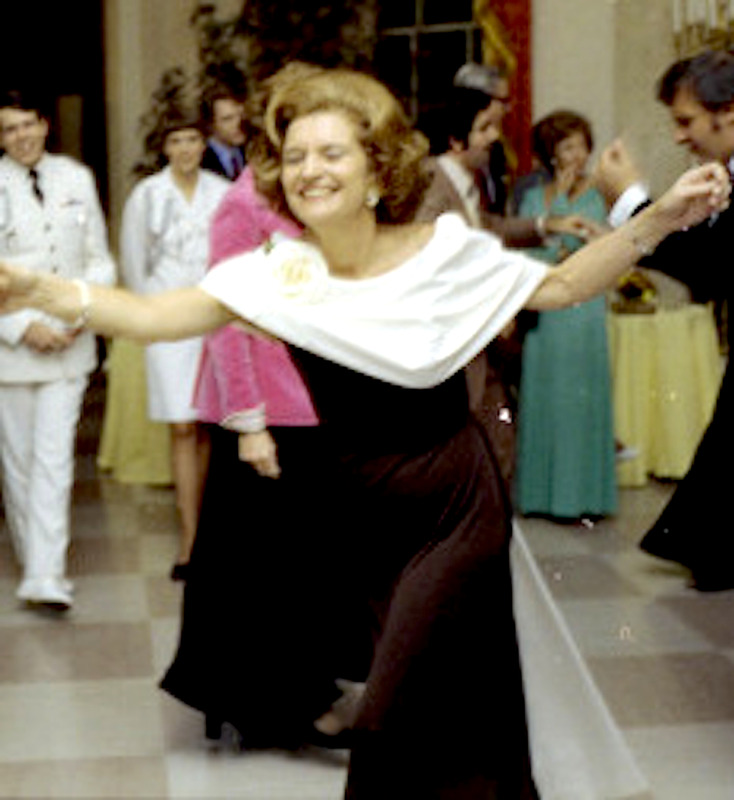 Certainly, the most iconic clothing that Pat Nixon wore also symbolized an important turning point in her husband’s presidency and the nation’s history. It was the bright red coat she wore upon arriving in China on Air Force One, as she joined the President in his famous 1972 trip to that nation. She specifically wore it, knowing international television cameras would be following her live as she toured through the streets of Beijing, an exciting visual experience for most of the world, which had been restricted for decades from glimpsing this ancient city. 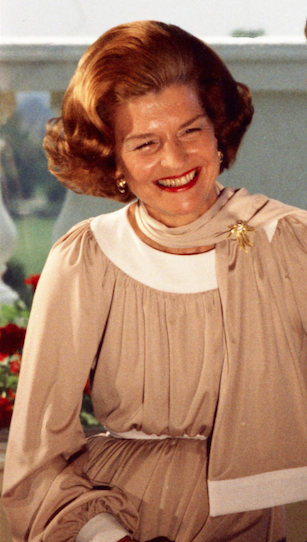 Among First Ladies, the only one who was ever a working professional in the women’s fashion industry was Betty Ford. While studying and performing with Martha Graham’s modern dance troupe, Betty Bloomer earned an income working as a clothing model of the Powers Agency in New York. When she returned home to Grand Rapids, Michigan she obtained a job also modeling in a local department store, and then took one there as the buyer. The job had her commuting to New York, center of the fashion industry and it was an avocation she sustained throughout her life. 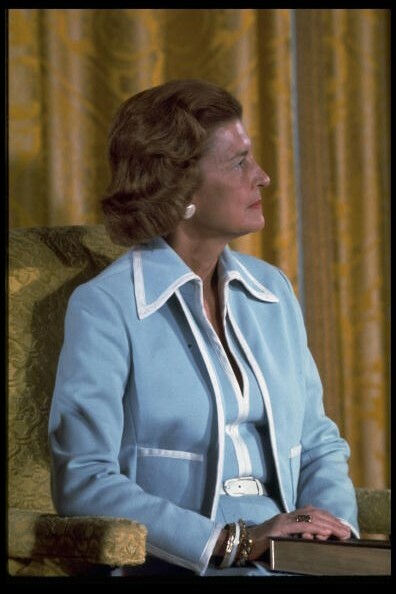 Perhaps the most iconic image of Betty Ford was that of her in a pale blue suit with white piping as she held the Bible for her husband when he took the oath of office following the trauma of Nixon’s resignation that same day. In this suit, Mrs. Ford remained in the camera view as he delivered his healing speech on how the nation had survived and would from that point on have a President who was honest and open. Her refreshing, open-necked, unadorned simple suit and its cool blue color seemed to reflect the refreshing change her husband was seeking to strike. 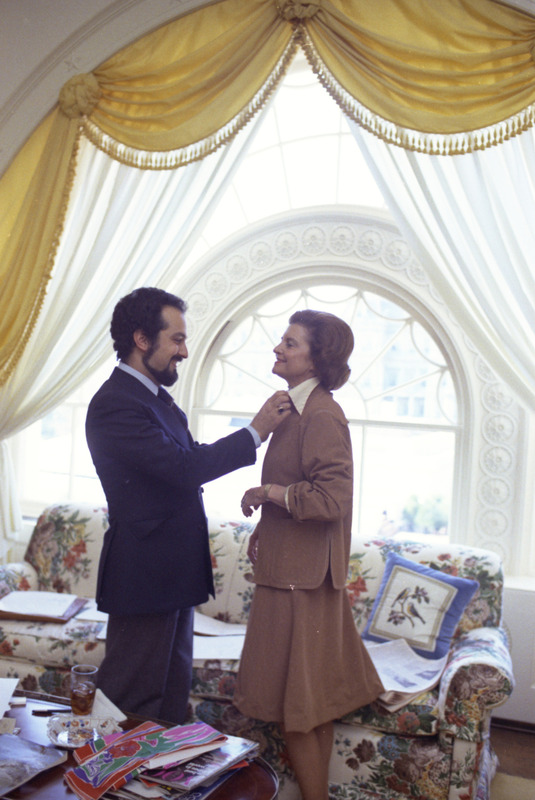 As First Lady, Mrs. Ford gave currency to large and colorful neck scarves, many of which were crafted by local designer Frankie Welch. Although she served for less than three years, within that time as Betty Ford became more comfortable in the public role in which she had been unprepared to be thrust into, she became bolder in terms of appearing in gowns with dramatic necklines, slit hems showing off her trim legs, and a snugness that showed off her figure. They were often in rich materials and bright colors. 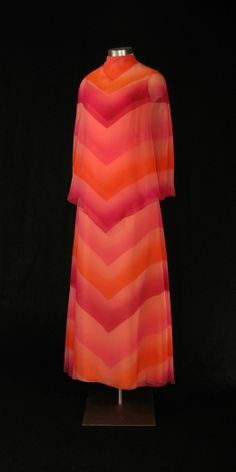 Her marked preference for the “mandarin color” that adapted a Chinese style neck appeared on a number of her evening gowns. During her daytime events, Mrs. Ford sported many of the checkered, plaid and zigzag patterns that marked the era’s distinctive look, as well as caftans and capes. In a sense she relaxed and began appearing in a way that reflected her genuine taste, cultivated from her years as a fashion industry professional.